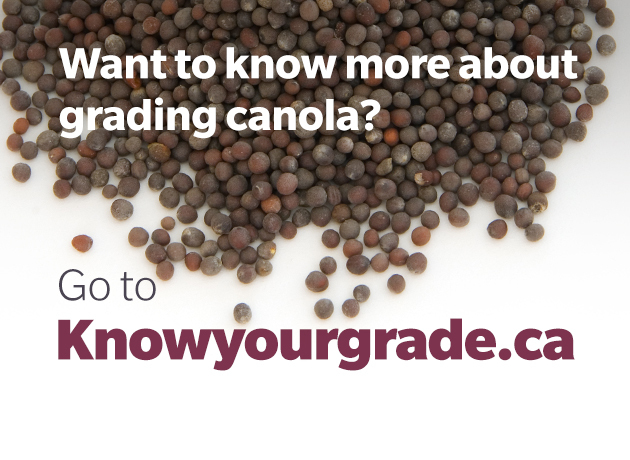 Canola – Know Your Grade! The Canadian Canola Growers Association launched a new website in the fall of 2018 as a resource for farmers on canola grading and dockage. The site is a great resource for interested farmers to gain a deeper understanding of what to expect when delivering their canola and any grading questions that might arise.